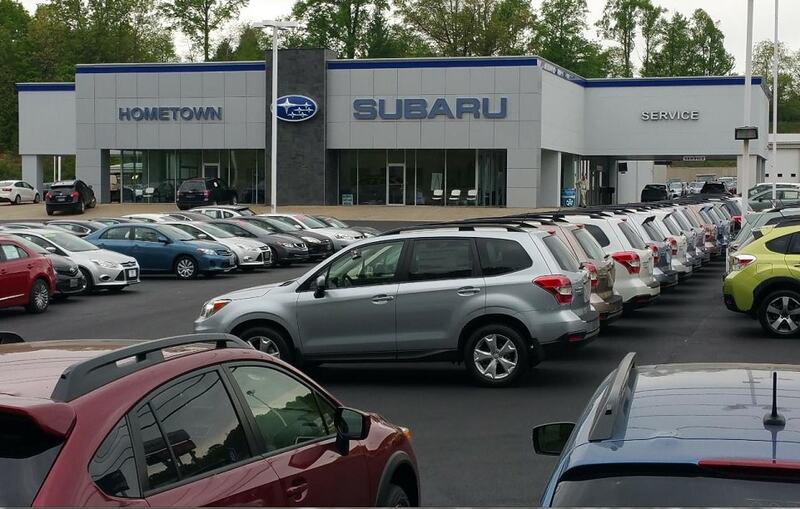 Hometown Subaru offers many automotive products and services to our Beckley area customers. From quality new 2018 - 2019 Subaru vehicles to used cars in the Beckley area, we know anyone looking for a quality vehicle will likely find what they want at our dealership. We carry a comprehensive line of Subaru vehicles, including the new Forester, Legacy, Outback, Impreza, and BRZ, making us a good choice as your greater Beckley Subaru car dealer. Our services include trusted car repairs near Beckley, original Subaru parts, and auto financing to help our customers in Charleston, Fayetteville, Mount Hope, Summersville, and Lewisburg, WV purchase the car of their dreams. Call Hometown Subaru or come visit us in person. We're conveniently located at 117 Midtown Avenue, Mount Hope, WV and look forward to helping you with your automotive needs.